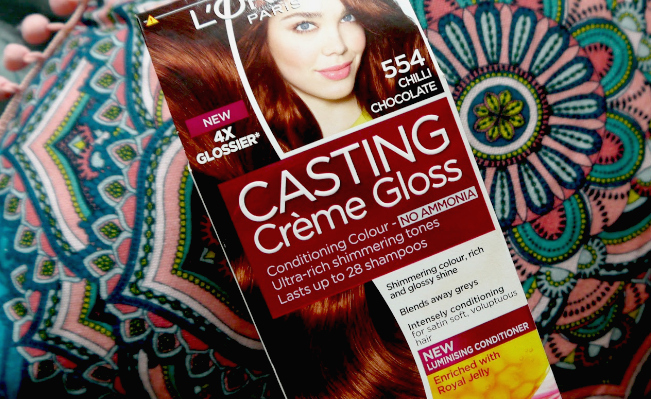 I really like the L'oreal Paris 'Casting Creme Gloss range of semi-permanent hair dyes. They are easy to use, effective in delivering an even, true to description colour pay off and pretty good at fading evenly. 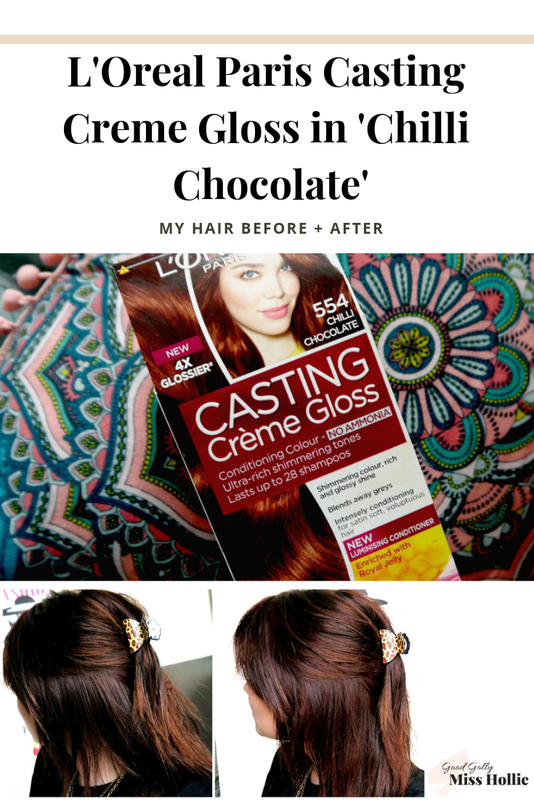 Chilli chocolate is my current favourite shade from the range as I have been flitting between chocolate brown and auburn hair for some time now. The shade is warm and sits at a light 5.0 light brown base with .54 mahogany and copper tones. My hair has a lot of red tones within it all thanks to the 'Caca Rouge' and 'Caca Marron' henna bricks from Lush. The henna dye doesn't, however, cover roots, especially when your hair is as naturally dark as mine. 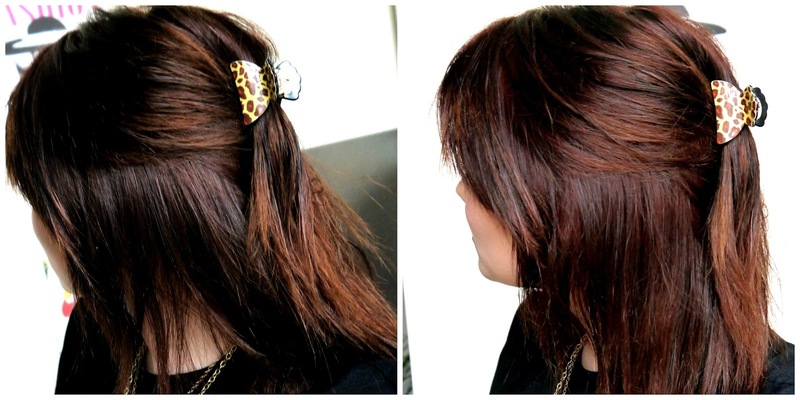 I believe (and I have it on good authority) that it is perfectly fine to colour your hair with semi-permanent colours after using henna, as it simply acts as a gloss without opening the hair shaft in the way a permanent colour dye does. This why I called upon 'Chilli Chocolate' to even out my roots and colour. 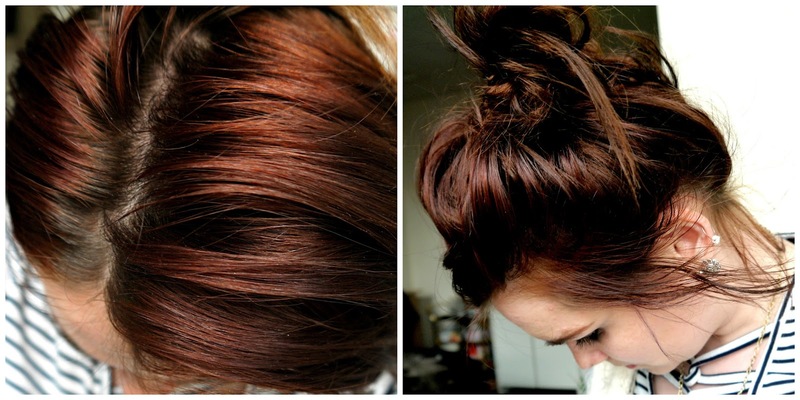 The dye is super simple to use, just apply, wait 25-30 mins and rinse. The rose scented conditioner that is supplied is also lovely, very nourishing - especially following a colour job whereby chemicals are being applied to your strands and scalp. As you can see, directly after the application, the colour is much darker than I was looking for. 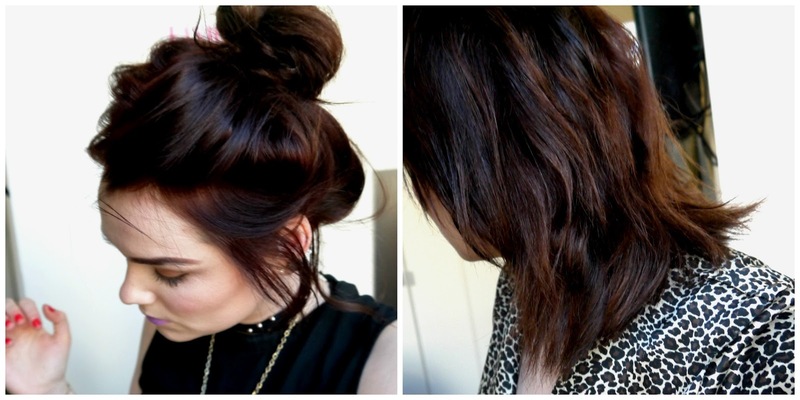 Though it has warm tones, it is very dark brown in base. This is completely normal and by the next few washes the colour will gradually lift and fade. Don't forget, the colour and condition of your hair pre-dye job always indicate a different colour to the box indicator which is applied to virgin hair. After two washes, the true colour starts to seep through and as you can see above, I am back to a shade close to where I started with all the right warm tones and a mahogany brown base. My colour tends to last around 3 weeks having washed my hair twice a week. My roots tend to start poking out around this time also, so depending on how i'm feeling - I dye my hair with this shade every 5 weeks or so and henna in between. This just seems to work for me currently. What is your favourite Casting Creme Gloss shade? 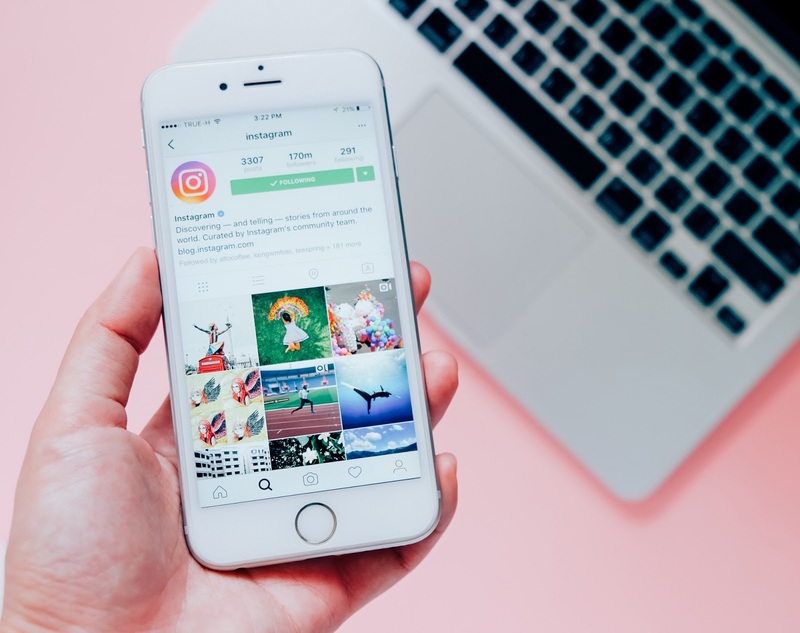 Stay up to date with all the new blog content featured on Good Golly Miss Hollie, as well as pop culture musings, digital marketing advice, music and more!